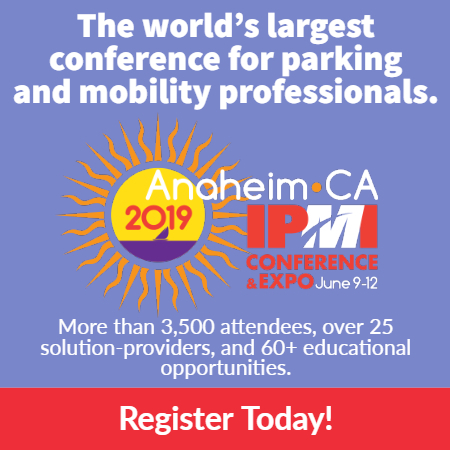 Imperial Parking Canada Corporation (Imp ark Canada) is pleased to announce the first implementation of the Dynamic Symbol of Access (DSA) at an Impark-managed parking facility. An invitation-only painting event took place in Toronto on May 1 to commemorate the initiative’s successful launch. 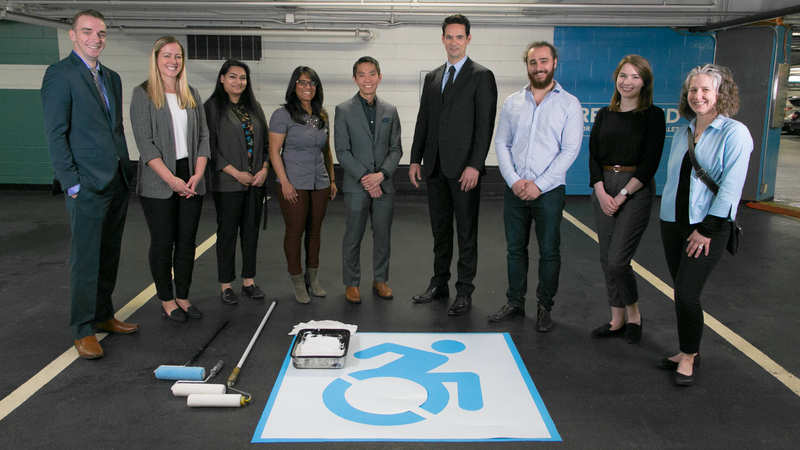 As reported on February 28, 2018, Impark Canada is working together with The Forward Movement to update the way it marks accessible parking spaces nationwide. Beginning this month, Impark is phasing out the industry-standard International Symbol of Access (ISA) in favour of the Dynamic Symbol of Access (DSA). The DSA is intended to advance symbolism that recognizes the personal autonomy of people with disabilities and promotes a healthy dialogue about accessibility barriers and challenges. Representatives from The Forward Movement and Holland Bloorview Kids Rehabilitation Hospital (Holland Bloorview), Ontario’s first healthcare facility to adopt the DSA and a key Impark client, attended the painting event. The painting event was held on May 1 in the heart of Toronto’s financial district. Attendees were invited to help repaint accessible parking spaces with the updated accessibility symbol. Holland Bloorview Kids Rehabilitation Hospital creates a world of possibility by supporting children and youth living with disability, medical complexity, illness and injury. Holland Bloorview is a top 40 Canadian research hospital that is fully affiliated with the University of Toronto and serves 7,500 families annually. Providing both inpatient and outpatient services, Holland Bloorview is renowned for its expertise in partnering with clients and families to provide exceptional care.